I felt sad when I saw Ki&Ka movie. There was a scene pictured in the film in the National Railway Museum where the hero takes heroine on a date. 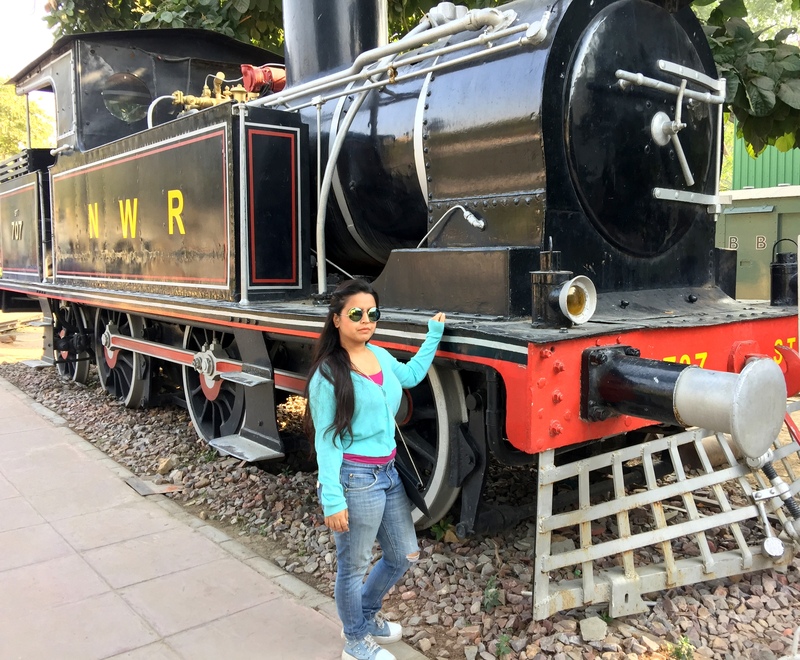 Being a Delhiite, I have never been to railway museum and I felt a tremendous wave of anger on myself. Then happened nothing, but I planned a visit to National Rail Museum. The first of its kind in the country, The National Railway Museum of India is situated in the embassy region of Chanakyapuri, New Delhi. 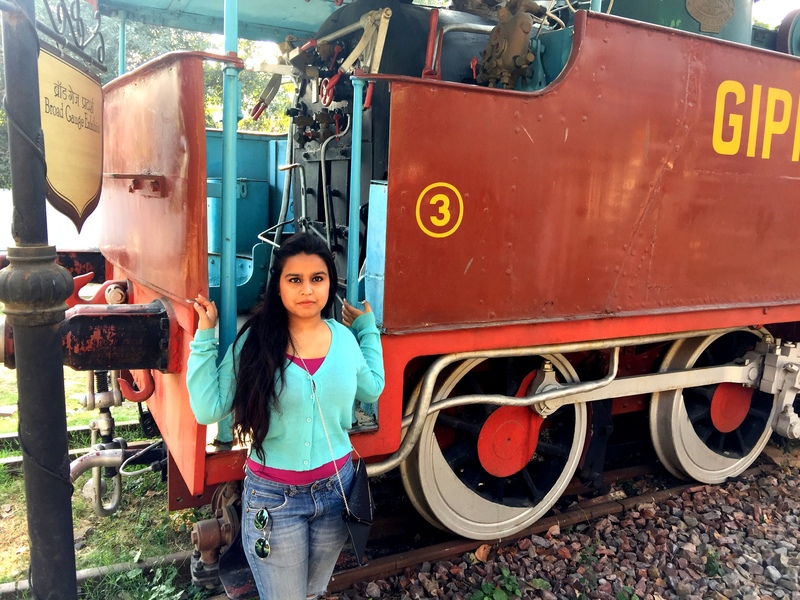 This museum focuses on preserving rail heritage of the country. Here you can see many models of trains, signaling equipment, antique furniture, etc. If you want to spend a day with friends or family, then you will have fun here for sure. I guess I am the one & only who went wildly successful in running with the train. The person who went with me said, are you really serious? Cheers! I won the game! The Indoor Gallery displays a combination of historical collection, train models, interactive games, etc. 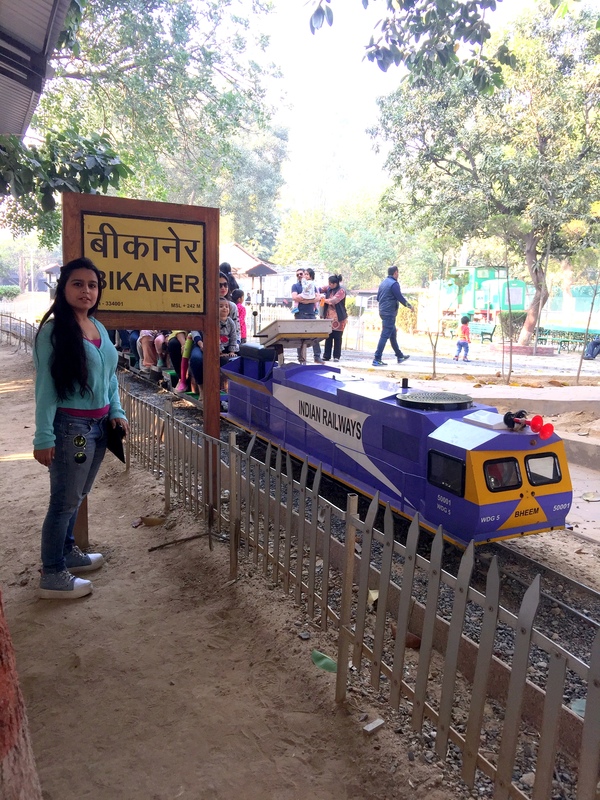 Apart from the gallery, you can also enjoy toy train ride, 3D virtual reality experience, miniature India, rail garden here. Saved this little lamb from falling! What if they come closer to each other? 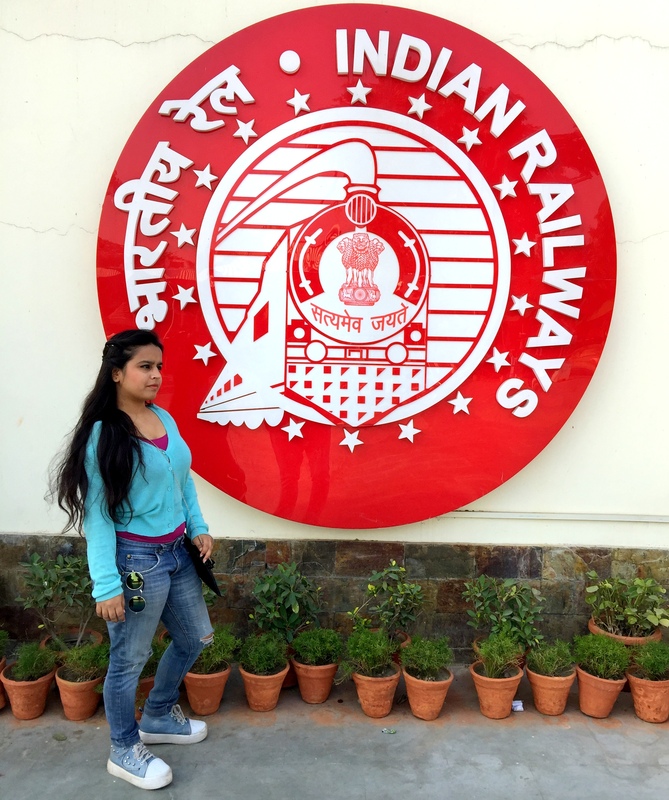 At last, I reached my stop at Bikaner where I wanted to go for so long! Rail Museum brings back fond memories of antiquity. I hope you enjoyed with me. It was fun, craziness, a childhood that came out over there. Haha, Saving that little lamb changed my life drastically. The praises were my gift… Glad you got yours..
COOL…WHAT BIG BUFFER PLATES YPU ARE BETWEEN! 🙂 I am a railway enthusiast, myself…although less active than when I was younger! One of my treasured possessions–although I can’t play it–is a Nick Lero video tour of the steam trains of India NS Pakistan. Nice photos and writing. Delhi does have so many jewels hidden. have you seen the sound and light shows at Purana Qila and Red Fort? Yes, I have been there. They are full of creativity and drama. I’ll try to write and share their photographs as well. Three times! That’s cool. I hope to visit there again in future. Glad to know about it..Very informative post! 2nd) Wear a “Flash” costume when running in front of the train, it will add more realism. There should be more destructive criticism bu am feeling generous, so generous in fact that I will now shut off adblocker (penny blocker to you). And oh yes, what a beautiful post and who is the pretty girl??????? Haha, the first featured image is a still from a Bollywood film. So, that pretty girl is not me obviously. Aw. Never mind. I like your criticism and I am really enjoying reading it. I will keep your points in mind for future. I hope I’ll be able to do more craziness in future and this time with costume. Agh, who’s gonna pay for it. Yay, my ads huh! Yes, and it will be fine if the pennies made could only procure tatters of the Super Hero outfit cause A Super Hero gets a lot of wear and tear on outfits which are not invulnerable as the Hero is. What a gorgeous post! So glad to have found your page! Thank you for your lovely comment. Would love to be in touch with you. 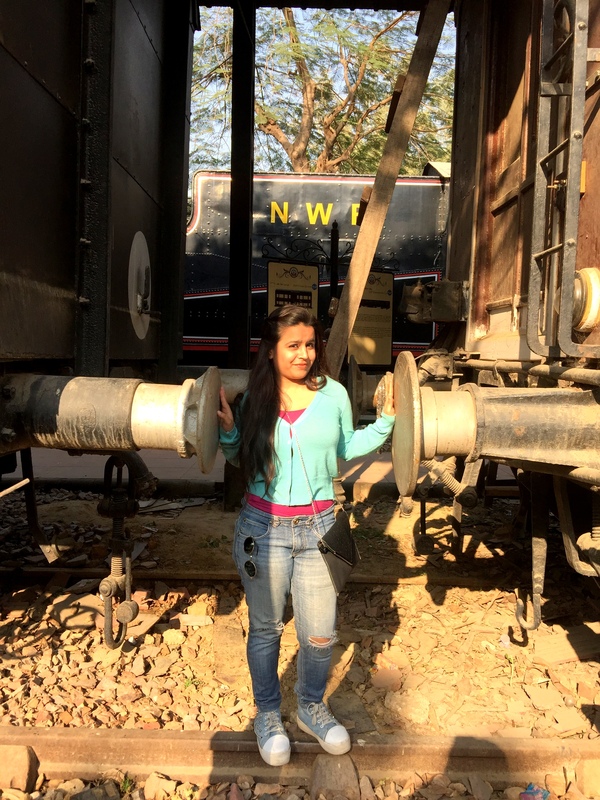 I am a big fan of trains… always visit railway museums when I can. Enjoyed your post. loved the info and specially the pictures..
growing up in a mill town as such..
the visual imagery Railroad Museum in India..
is surely a delight to me..
is missing in the world of blogging..
a real touch of life..
that often does not have a real world touch..
Haha I Have read your comments on other blogs and liked them, wondered when you are gonna write so much to me… Today I achieved that. I am so pleased to know you like my posts. I know I try to put myself in almost all of the posts haha.. May be I am too obsessed with myself. i understand this is heaven..
i scare many folks with the extent of my love as life..
nice to hear your are not afraid of life.. my friend..keep up the good life..
and i will visit you as long as i can find your blog.. as i for one am a friend of ALL..
You have a gift of words, lucky to be surrounded by you. I am a rail fan, and I enjoy railroad. If I am ever in India, I hope to visit that museum. As a writer of railroad articles and railroad photographer, I enjoy thy post. Thank you for the great photos. Railroad writer and photographer, wow your job must be interesting… You must visit India for sure, we have few of the railroads which are listed under world heritage like Toy Train. You’ll like it here. Hope to visit some day. Hi, Falak! Thank you for the lovely pictures at the railway museum. Please don’t be mad at yourself if you can’t go to many places. 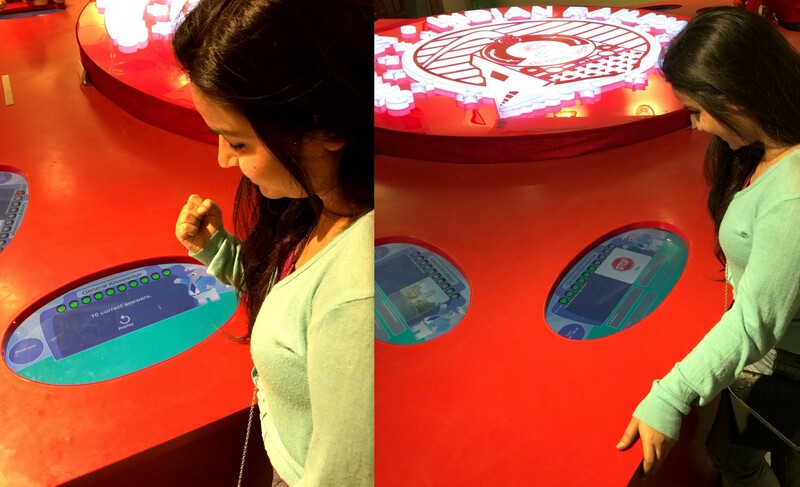 It is expensive to do these kinds of things and it is okay if we can’t always go. It will make it very special when you can get to go to something. I can’t go here, so thank you for showing us! You know I have such a crave for traveling that I keep dreaming about the place where I have to go. I want to explore the ful city at least I live in. Better late than never and thanks for sharing. Oh, yes, Ki & Ka. That scene was lovely. Arjun’s character sure had a thing for trains!